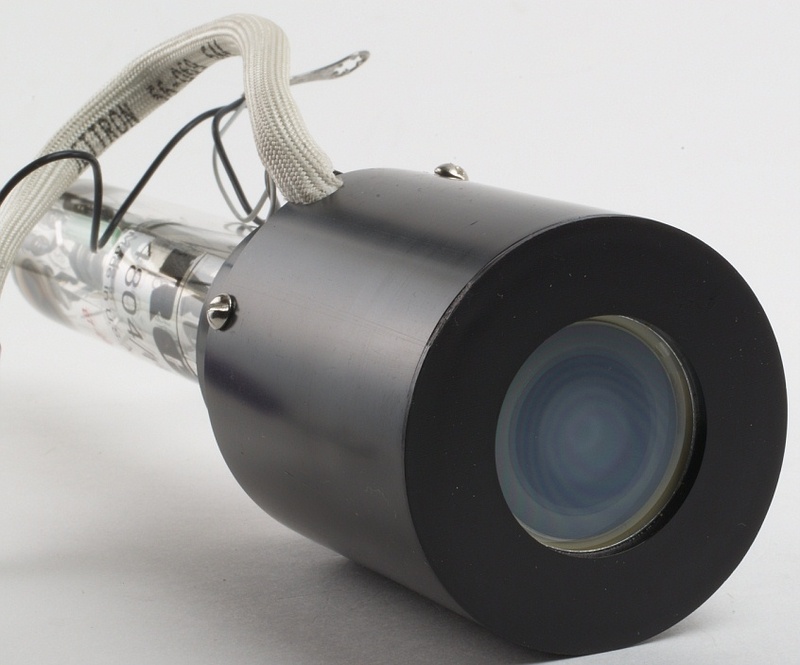 The RCA 4804/H Series types are sturdy, compact, 16-millimeter Silicon-lntensifier Target (SIT) camera tubes designed for use in very-low light level TV systems. All tubes in the 4804/H Series employ the silicon diode array target known for its low lag and its ability to exhibit low blooming when exposed to bright tight sources and intense specular reflections within a scene. Electrostatic- Focus, Image Section, Magnetic Deflection and Focus Gun Selection. P2 = Built-in shield protects targets. Light enters the SIT tube through a fiber-optic faceplate, which transfers the flat-scene image onto the curved photocathode. The light then travels through the focusing grids and strikes the target, which is a matrix of over 1800 silicon diodes per inch. The image is typically stored there and read out by the scanning beam every 1/30 second.